Located on the Sandy River just outside of Troutdale, Oregon, in addition to it’s historic location, the bridge itself is historic. Being the first link on the Historic Columbia River Highway, it was built in 1912 to cross the Sandy River. 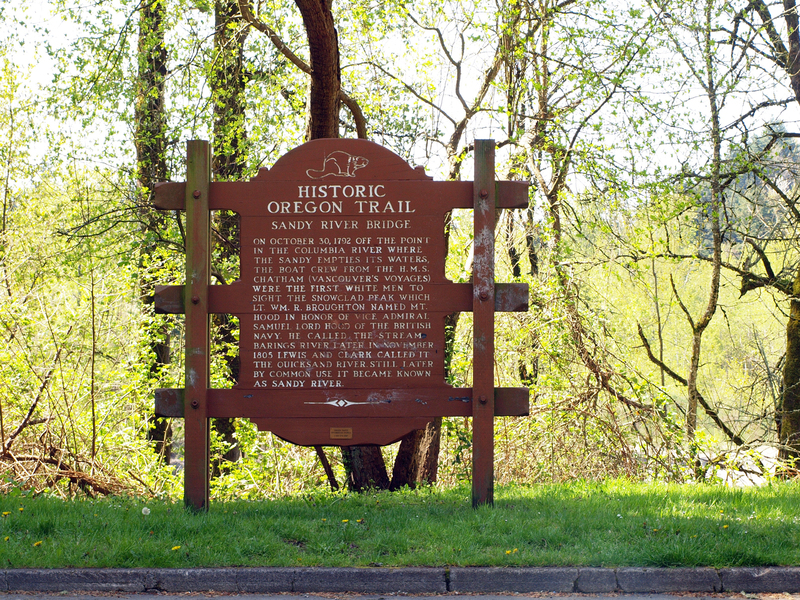 Nearby, is Lewis and Clark State Recreation Site, named in honor of those two gentlemen who camped nearby while traveling to the Pacific Ocean. In their day the river was mostly quicksand, and quickly passed over. Today, the area is well known for swimming, rafting and fishing. History still surprises us though. While constructing the new I-84 Sandy River Bridge, workers found a fairly well preserved wagon wheel while excavating. More information about Vancouver’s Voyages and Broughton’s discoveries from Fort Vancouver and up the Columbia River can be found in this great book, Madness, Betrayal and the Lash: The Epic Voyage of Captain George Vancouver.